Story: We created "Nutritious is Delicious" to teach people about nutrition. In our game, you take the role of a piece of food being eaten. You will go on an adventure trying to keep a person healthy by defeating the EUFS army. Along the way, you will make new friends and learn about keeping yourself healthy. Audience: This game is for kids to young teens. Team Members: Emily and Brooklynn. Health Lesson: In our game you learn about health. It is very important to keep yourself healthy and watch what you eat. 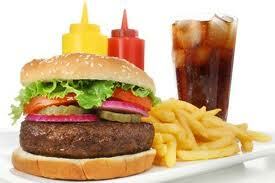 Eating healthy will help you maintain a healthy life and have an appropriate weight. If you don't have an appropriate weight you could be at higher risk of heart disease, high blood pressure, diabetes, gallstones, breathing problems, and certain cancers. Proccessed food doesn't replace healthy food. That is why you need to eat more healthy food than junk food. 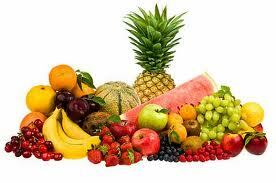 Healthy foods are things like fruits, veggies, food with protien, and food with calcium. This is some junk food. The food pyramid is a wonderful example of what you should eat. The majority of you diet should be grains. Next should be fruits and vegetables. Then protien and dairy. Finally, oils, fats, and sweets. You don't want to much of that in your diet. You're reviewing: Nutritious is Delicious! Is it possible to pass level 4 (Esophagus)? Sorry, I shouldn\'t have accused you of cheating. Good luck! We came in second place for the original contest. I am in this TO WIN THIS! Really, you\'re going up a vote a minute! There\'s no way you can do that. Don\'t think I haven\'t noticed. I know it looks like something is wrong, we were in the lead by over 700 then within two weeks we were down by 5 hundred. we reached out to family of 50 cousins and aunts, uncles and friends and are greatful to a large family on the holidays. Sorry but we are doing nothing wrong. Good luck.